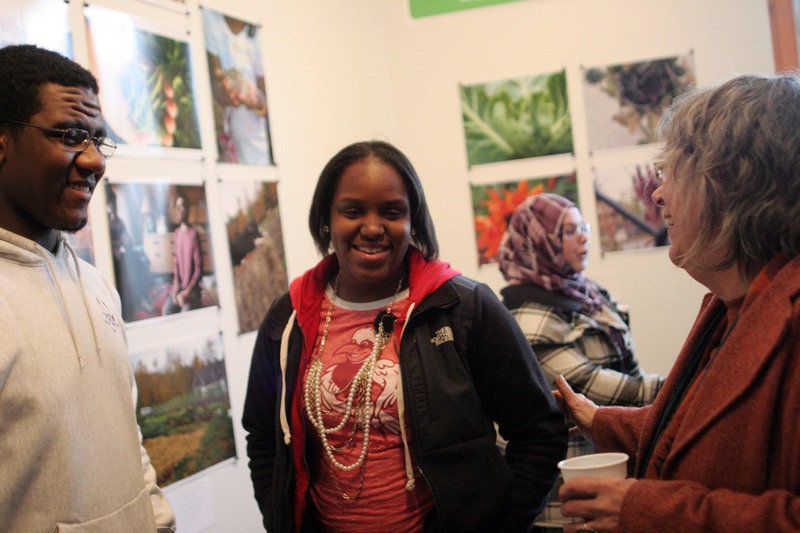 This weekend was the opening of Connecting with the Land, a photography exhibit that lets us experience local farms through the eyes of youth in the Underground Gallery at the Sanctuary for Independent Media. 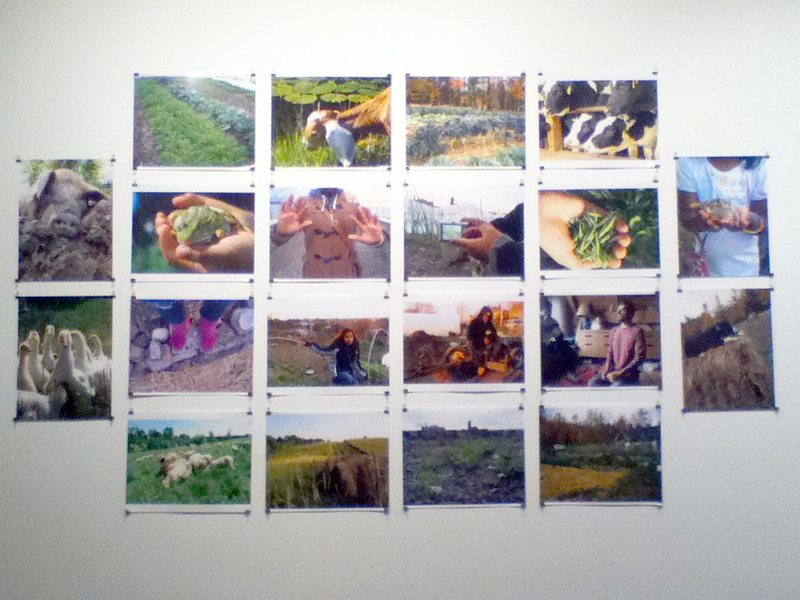 I was one of the teachers for The Farm Photography for Kids program of the Agricultural Stewardship Association (ASA). 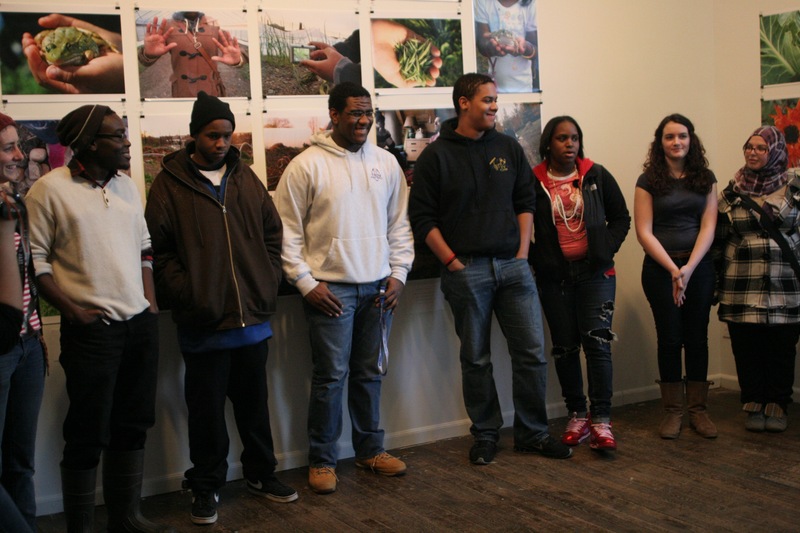 I taught youth urban farmers with Capital District Community Gardens Produce Project. They documented their 8th Street Farm in Troy, NY and Soul Fire Farm in Grafton. I am so proud of their work. The students selected their favorite images reflecting how they see and are connected wit the land. The exhibit will be on display from March 22nd through June 15th. 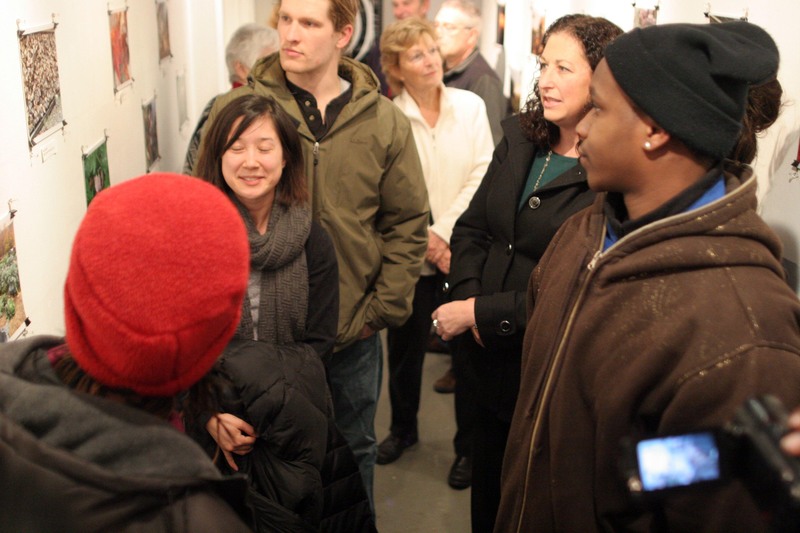 For gallery hours visit MediaSanctuary.org. Special thank you to Nancy Weber, Tolu Fashoro, Hannah Savio, Katie Doyle, Meegan Finnegan and everyone who made the evening possible. I had a couple of large pots for this job and then transferred the beans to keep warm in crockpots. Sauté onions in oil until soft and translucent for a couple of minutes. Add tomatoes, garlic, thyme, basil, salt and pepper to taste. Add beans, enough water or broth to cover the beans and let simmer for 20 minutes. Stir in spinach leaves and serve over cooked pasta and Parmesan.